The launch of new product brings a lot of excitement and enthusiasm. Businesses put a lot of effort in the designing, development and marketing of their products, and product photography is often marked as a valuable and crucial milestone that puts a significant impact on sales. The way you represent your product in front of your audience decides its future, and therefore, compromising with any random photography studio and photographer is not an option. Use modern DSLR camera: You must owe the best and the most advanced DSLR camera for the product photography. The modern digital single-lens reflex (DSLR) model is the most recommended. The Nikon D7000 is the best camera in terms of performance and price. Choosing the right focal length and depth of field is very important in this case, so you must hire the most professional photographer who has extensive years of experience in product photography. Get the right light: Lighting plays a crucial in product photography. There are two types of effects that are produced with lighting – Hard shadows and soft shadows. While hard shadows are produced when the size of the light source is smaller than the size of the subject, soft shadows are produced when the size of the light source is larger than the size of the subject. For product photography, you may want soft shadows so you will need larger windows. This will allow more natural light to come in. Hence, make sure to rent photography studio that provides modern lighting equipments and also has windows. Get the nice backdrop: In case of product photography, a clean white backdrop looks best as it creates clear focus on the object. What makes it so amazing is the “Infinity Curve”. It is the curved background which lets the photographers to capture product photos against an endless white background. It seems that there is no horizon in the back, and it brings only a clean and nice view. Your product will be placed in the center of the photo and it will be in clear focus. Your photography studio must be able to create Infinity curve too. It will save the efforts of your photographer. Play with angles: Don’t hesitate to play with different angles as you take the product photos. Try to get close ups of the product from different angles and look for unique points of view that look amazing and make the product look extraordinary and most impressive. However, make sure to reflect accurate size of your product, shape and quality to ensure more sales and complete customer satisfaction. 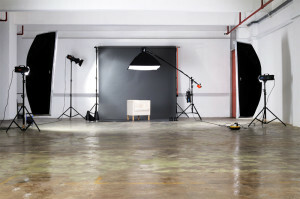 Your photography studio must be spacious enough to let the photographer experiment with various angles. While there are many more things you need to take care about product photography to reinforce your marketing efforts, the above mentioned were some of the guidelines that cover enough to help you remove the frustration out of product photography. Hope, these will help you take substantially better photos.